Do you have a book in you, waiting to come out? I know I have 100s of book ideas crowding my head, waiting to make their way into the world. Now I’m a published author I’m passionate about everyone having the opportunity to create their own masterpieces too. I know that lots of things stopped me for so long and so I did some lightening research – asking around my social media contacts about the things that could get in the way of writing and also the strategies for getting on and doing it. One of the major factors for me was the support that I got from Women’s Personal Development Community Damsels in Success and so it was with them, first of all, on a private forum, that I posted the blog entries which I eventually turned into my published book. This is what I love about the Damsels in Success ethos of ‘Success with Ease’ – Sara and Harriet are 2 great examples of writing in the way that works for them and their lives – being creative, clear and happy with their choices and where writing fits into their lives. To get myself started I set myself a public blog challenge, I know many people who have joined in public / group blog challenges in order to get themselves challenged and off the ground. Others are more structured and write for a defined period each day (for example for 30 minutes each morning). Know what your patterns are, what motivates you and work with that. For many of us, this is best achieved by having agreed goals set with others, teaming up with people going through the same experience and getting specialise expertise support. You may have these in your circle or else can opt to work with book / publishing coaches, many of whom run courses and have specialised services to help you get your word out there. In terms of getting published, anyone can self publish or else take the next step up and seek out community publishing deals. If you want to go for a publishing deal with a traditional publishing house, start with the current edition of the ‘Writers and Artists Year Book’ to find agents that will fit your milieu or search around for resources on getting your manuscript from Pitch to Publication. Amazon certainly has plenty of books on the subject and Google always nets results – though be careful before you commit to buying any products or services. 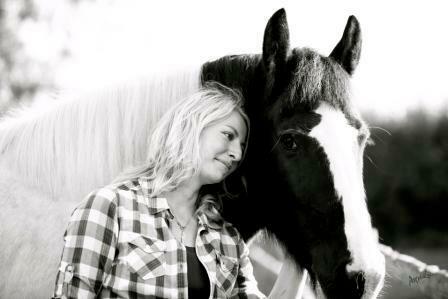 Julie Lines – International Animal Ambassador, Intuitive animal communicator and facilitator of Animal Communication Play Shops / Retreats, has recently published a very special and unique book. Here she tells us how she champions and channels the voice of animals and this gift has naturally developed into her becoming a published author for the very first time. Three words to describe me would be Intuitive, Creative and Stubborn(!). A little known fact about me is that I have been a professional fund raiser for many years and have raised money for charities by completing challenging treks in the Arctic, Peru and Namibia. My book, “The Purpose of Species – Animal Messages for Humanity in 2012 and Beyond” is a collection of 44 messages from different animal species for humanity – guiding our evolution and re-balancing as we move beyond 2012. I first began sharing these messages, as I received them, on my blog and the messages keep coming, so there will be more volumes to follow! I channelled the messages from the collective consciousness of the different animal species. This book is unique and my aim is to share them with all those that are drawn to listen to them. The animals have so much wisdom to share with us and can help us greatly in returning to balance, living happier, healthier and more abundant lives. Writing this book (becoming an author) has been something that I have always wanted to do – since I was a youngster. It means a great deal to me and I am keen to share the animal messages as widely as possible around the world, for the good of all. Professionally, it is a strange thing, but as soon as you publish a book, people seem to treat you differently, it is almost as if you become an expert as soon as the book is available to buy. This is great as it helps me to spread the wisdom the animals have to share and to connect and work with more people. 3) Find people that will help you, that know what they are doing! In terms of getting published I decided to go down the self publication route with Create Space (Amazon owned) and this has worked really well for me – it is free, flexible and pays a really high royalty compared to other publishers. They print on demand and deal with all the packaging and posting. You do have to be prepared and able to market your book for yourself though, or get someone else to market it on your behalf. Find out more about Julie by checking out her website: http://voiceoftheanimals.org.uk and you can buy her amazing book on Amazon. Sandra asked for 3 words that describe me and I came up with ‘peaceful, poetic, and true’… Next she asked for a little known fact about me… Well – I also believe in the healing power of laughter and so MY little known fact is that I am trained as a Laughter Yoga Leader! In terms of writing, I have recently produced two books – the first one – The Gift of Inspiration for Female Entrepreneurs I co-authored with a number of inspirational female entrepreneurs; the other, Believe in You. Believe in Your Story, which complements the first book, relates in poetry and prose some of my experiences since taking early retirement from work. I wrote the first book because I was inspired by a poem I wrote called “Believe!” This poem carried a powerful message to stand up, be bold and to express myself. It also carries an inspirational message to others to do the same. My first book ‘Believe!’ therefore, is a compilation of inspirational stories inspired by the poem. Personally, the book has demonstrated how easily a project can come together when you collaborate with like-minded, committed people, and when you follow your own inspirational downloads..! Professionally, I am now looking to develop the ‘Believe!’ project further. Both books are currently in Kindle format, and I am now developing the paperback version ready for launch. For me, the book provides a platform from which I will be able to develop further services around the theme of “Believe!”. 1) If you have a great idea, believe in it, and go for it! 2) Get the right support – when writing my second book, I entered a Kindle book challenge operated by the ‘I Am Woman’ business network. This provided me with a deadline, a purpose and great support from a book and a business coach. 3) Be aware that your book may change as you go along, so it is great to have a framework, start writing, and review later. My advice on getting published is that self publishing is a great option – it is very straightforward to get a book published on Kindle, and also there are lots of options for self publishing in paperback. I would urge people to consider this option, and if it suits your reason for writing a book (e.g. to get your story out to as many people as possible, to become an authority in your field etc), then go for it! I’m delighted to say, that having mastered Kindle, I am now putting together the paper back version of The Gift of Inspiration for Female Entrepreneurs, which is being launched on the 10th of May and will include four additional uplifting stories. 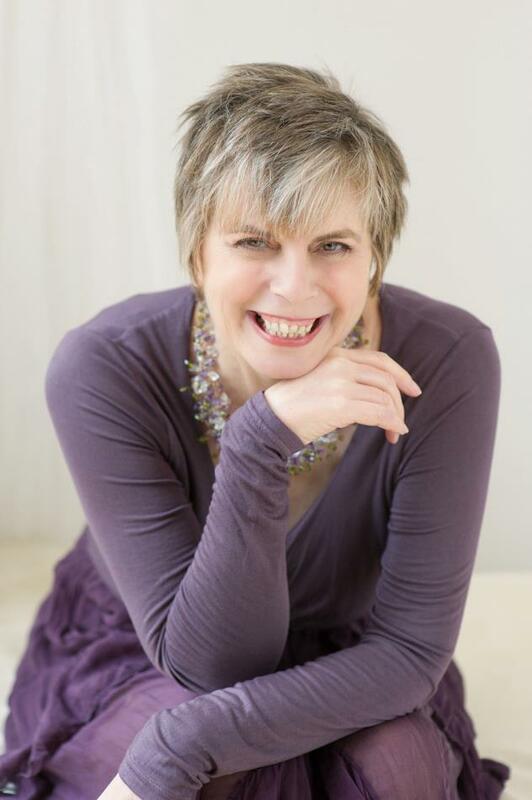 You can connect with Sue on Facebook and buy her inspirational books on Kindle. What is your experience of writing? I have written for as long as I can remember, from those silly stories about what I did in my summer holidays, to writing and publishing my own books. I feel as if I came out of the womb with a pen in my hand. What I adore about writing is the truth that it reveals: the truth in your heart and how that connects to other’s hearts. I believe that writing has the power to change lives and no matter how you choose to express your writing it will heal and help you to grow as a person. I turned to journaling when my life felt like it was in the pits and from my darkest prose, I found light, not only that, I found a way that I could help others to turn a corner, this enabled me to create a book called Writing to Heal. But my dream was to write novels and to allow my imagination run riot and despite my journaling I was stuck until I penned my own memoir which I am releasing in April 2013. As soon as I sent this off to be published it was like a weight was lifted and I am now writing my first novel and loving it. My writing life will never be the same again. What are your 3 top tips to getting started on writing a book? « Believe that you can write. « Create an outline first. « Know that first drafts are rubbish and the magic happens when you edit. What is your experience of publishing? I am a self-published author and what I like is that it puts you in control of your work. 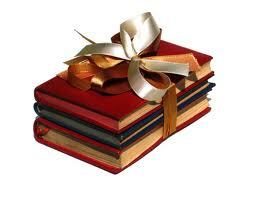 It is easy to set up, easy to use and it is empowering to know that the success of your book is your hands. What are the main reasons that prevent people from getting published? You think that no one will read your work, so why bother? Fear of rejection, if you chase the traditional route. Fear of technology, in as much that you don’t know how self-publishing works. What is different about what Presland Quirk provides? We have a unique blend between us, so our clients get all of the talents, skills, and experiences that we both have to offer. We are both very intuitive and spark off each other. When we are working with our clients we are both listening and watching intently, trying to make sense of what is being said to us, what we see and feel and then finding the best most effective way in which one or both of us provides the answer. It is in the power of our collaboration that our clients benefit. We maintain that anyone can write and with the right support and guidance, that it will be a great book, one which will change our clients’ life and business. We believe that the book is more than just a book, it’s about their personal brand, business, or life story, and we look at how and why their book will help both their business and life be more successful as a result of writing and publishing one. We understand the cathartic process that a writer goes through from idea to publication. As entrepreneurs we know what it’s like to run a business and have to find the time to write and as published authors we know how important it is to write the right book. Finally we allow our writers to find their unique voice and empower them to take control over what they produce and how they sell it. Best of all, because we teach our customers how to do write, edit, publish, and sell, they stay in control and keep all of the profit from the sale of their books. I know that you run courses, including your upcoming Boot Camp Weekend, why is that? We have a dream to inspire as many people as we can to write and this weekend is about helping aspiring writers to find their voice, the one idea and turning it into something that they will be proud to publish and sell. And in making the process easy and stress free, to build our writer’s confidence, so that walk away ready and able to get to first draft and beyond. What results can people expect from collaborating with Presland Quirk? They will discover that one book idea which is right for right now. They will know that they can write, have an outline, a writing plan, understand how they work as a writer, what their best strategies are and walk away inspired and motivated to write their book. They will know that we are with them every step of the way. Providing they put in the effort and write, they will shortly become published authors and have ideas beyond their books for making their businesses more profitable and successful. Ten Top Tips for Writing a Book! As part of my ‘Get Your Book Out’ Easter series of blogs, I have been talking to published authors about their strategies for writing and publishing. 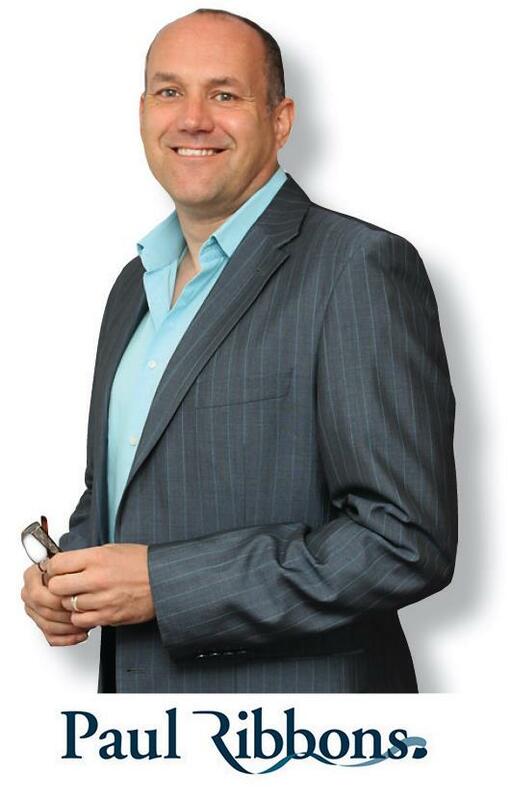 My book is an account of how I became successful in property and has some useful tips for buying great property deals and a system you can use if you so wish. Other than that, as a friends mother who is not into property said “I wish he was my minister at church – very inspirational”. There are 2 reasons why I wrote the book. The first is because I have always struggled with education (I have no qualifications from school) so part of me wanted to prove I was not thick. Secondly I knew it would be good for business. Personally, for me, the book has meant more than I thought it would. I feel very proud and now realize that people like what I write. Since then I have written 100’s of blogs, I write for trade magazines and generally write on a regular basis including 2 industry white papers. As my old friend James Lavers said, he loves my writing style. And business it has helped in attracting JV business partners and positioned me where I wanted to be within the property industry. Have an idea. Have a clear and concise idea of what will be in the book. Map it out. Pick 10 main things you want to include and call these chapters. Break it down. Then write ten points to be included in each of these chapters. Start to write. Then write at least 400 words on each of those points. There you have a book with 10 chapters with 4000 words per chapter, = a 40,000 word book. A self imposed deadline is essential. I wrote mine over a 2-week period and set myself up with a deadline. I said to my publisher I would get it to her by a certain date. I did not edit each page, but edited each chapter, this is crucial other wise you won’t even finish the page you’re if you not careful. It does not have to be perfect. I know mine was not perfect (although my readers tell me otherwise). I could have rewritten it many times and being a perfectionist well!…. but just get it out and don’t worry. People will read it if it’s authentic!!! . My fear as a sufferer of dyslexia and having no education was, will people read it? Why would they take notice of me? Then cry your eyes out when the book arrives and you realized a dream. How to Get Your Book Out!!! It is Said that Everyone has a Book in Them… So just how DO You Get a Book Out of Your Brain and actually Published??? Author Sandra Peachey published her first book – Peachey Letters in February 2013. It has been featured many times since in local and national press, including Psychologies Magazine. In her latest blog she explores her stories and strategies around getting any book completed and published. It was such a long time coming, decades in fact – even though I have always wanted to be an author and since childhood, a 1000 ideas for plots, strategies and the next ‘great thing’ have swirled endlessly through my head and my heart. Finally, a year ago, the call to write became so strong, that I just HAD to act on it; and so I set myself a challenge – to write a ‘love letter to life’, on an internet blog – every day of the Valentine month of February. Challenge is the operative word here! I thought that unless I made a public commitment (to the whole world) and set myself a solid target, it wouldn’t happen – I know me you see and HAD to make this happen! I know now that all the reasons that stopped me from writing my glorious novel, were the same that prevented me from writing my meaningful manual too. So if you want to get your word out there – there is no getting away from it – you have to simply get on and write! Setting my self the challenge worked, yet it was tough and only half the job! Once I had my first draft and I started working with publishers and editors – they pointed out that I simply could not print my blog off and hey presto! I had to come up with and craft a structure, turn a blog into a book, supervise a number of edits, choose a cover, etc etc and so on… There is more to writing a book than just writing a book! Would I change a thing now – no?! But could I have made the whole process easier and quicker and have got guaranteed, professional results from the off – well yes! Thank goodness I enlisted the services and support of Book Midwife Mindy Gibbins-Klein to turn my blog into a book, but still I could have had that support from day one, as Mindy offers a whole range of services. I’m delighted to say that I am well and truly bitten by the writing bug and already I’ve started on my second publication. This time though, right from the off, I’m getting professional support, structure and guidance. Currently I’m working on a collaborative book project supported by publishing duo ‘Presland Quirk‘, 2 publishing experts who supportively know their stuff. Jacqui Malpass and Cathy Presland are fun to work with and also get you to the right bookish results by giving you the expertise, structure and quality time to create your masterpiece and get it published. They guide you with professionalism, humour and a publisher’s insider understanding of your unique needs. I am enjoying the whole creative and structural process, which is why I’m delighted that Presland Quirk are now sharing the love and running a public course in May – which means that, at last – you can get your book out! 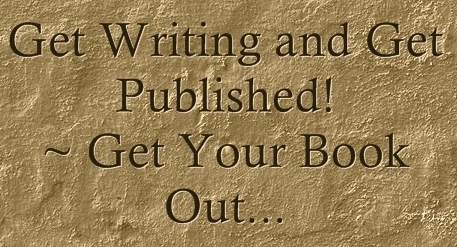 Over the course of 2 days you will get the time, guidance and know how to become a published author. Check it out, and do let me know when you have written your book. I can highly recommend that amazing moment when you see your first ever copy! The course runs from mid day Friday – Sunday, 10 – 12 May 2013. At Newport in Wales. In February 2012 I started a personal blog called Peachey Letters… A year later my blog has had 1000s of hits from 26 countries and has been turned into a book, giving me publicity and recognition that I could never even of dreamt of when I started! The great thing about blogging is that it requires no financial outlay to get started. It beefs up your business credentials and if used cleverly, can be re-used and recycled – posted on social media, on other people’s blogs and in your newsletters – maximizing your time and effort. Check to see if your website has blogging functionality – most do. Even without a website you can get started quickly – Blogger and WordPress both offer free platforms and then you are also part of a blogging community which can give you global exposure. If getting stuck on the technology is what is preventing you from getting started, then get some help – most website designers can help you, or you can check out a Freelancers hub site like Elance or Fiver, or even find a friend or colleague who has already set up their own blog and ask for a favour or a service swop. How and what do I write? Be wary of selling! Always be of a mindset that you are sharing useful tips, strategies and information. Never be afraid of sharing some of your ‘trade secrets’ – this means that you stay on your toes and will consistently provide better services for your clients. For subject matter – think of the time of the year, issues that are in the news, new products and services that you are offering. Or maybe there is something that doesn’t seem related to your business that you are passionate about – that’s how I got started! Blog about your real passions – the energy and authenticity this brings to your blogging will make you different from most people that share your marketplace. If you are happy to share things going on in your life – people love the ‘soap opera’ saga of someone else’s life, and course – always make the connection back to your products and services. Never be afraid to be bold or controversial – again – it makes you stand out! The simplest and most useful tip I can give you to structure and give subject matter to any blog is to answer 1-3 questions around a subject, service, theme, etc. Sometimes you can make it as obvious as how I have structured this blog, or simply use this thought process to shape your piece as you write it. Finally – Make the Offer! When you have shared your tips and strategies, then you can lead people to what you currently have to offer. As my example, I am currently giving one to one blog checks for beginners and improvers for just £10. This will get you started, motivated and inspired to get your message out into your market place. If you already have a blog then I will audit it and show you how to make it even more effective, getting more hits and more selling exposure. 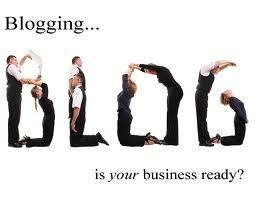 Just click here to find out more and book your 1:1 blogging session. Sandra Peachey works with businesses to turn their passion into profitable enterprises and achieve their market goals. 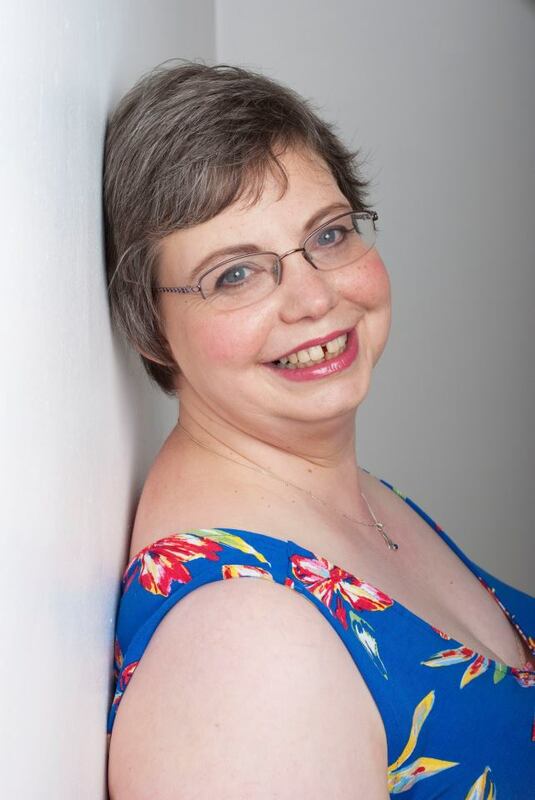 Her first book Peachey Letters – Love Letters to Life was published in February 2013; has been featured in local and national press, including Psychologies and The Lady magazines; and is available in paperback and Kindle from Amazon or via her website.